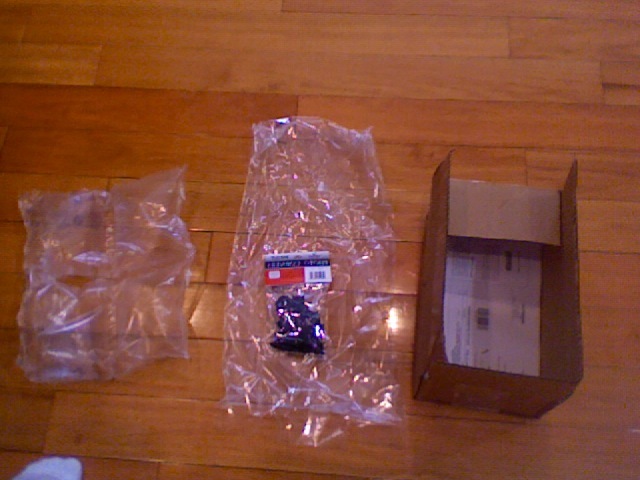 The New York Times had a nice writeup last week on Amazon’s efforts to cut down on frivolous packaging in its shipments. I am among those who have submitted customer complaints about the absolutely ludicrous packaging that you get on occasion. The New York Times had a nice writeup last week on Amazon’s efforts to cut down on frivolous packaging in its shipments. I am among those who have submitted customer complaints about the absolutely ludicrous packaging that you get, on occasion, from purchases. Honestly, I feel bad enough when I buy something on Amazon that I could have probably picked up locally with a short detour on my bike ride home, but when I am confronted with excessive packing like this (below), I feel especially bad. And this snap below isn’t the worst example by any stretch of the imagination. It’s nice to hear that Amazon really is using the feedback customer’s submit for good. I hope more companies heed the example of the Philips toothrbrush mentioned in the story.